National survey has rated Yeovil Hospital best for stroke care in the South West. 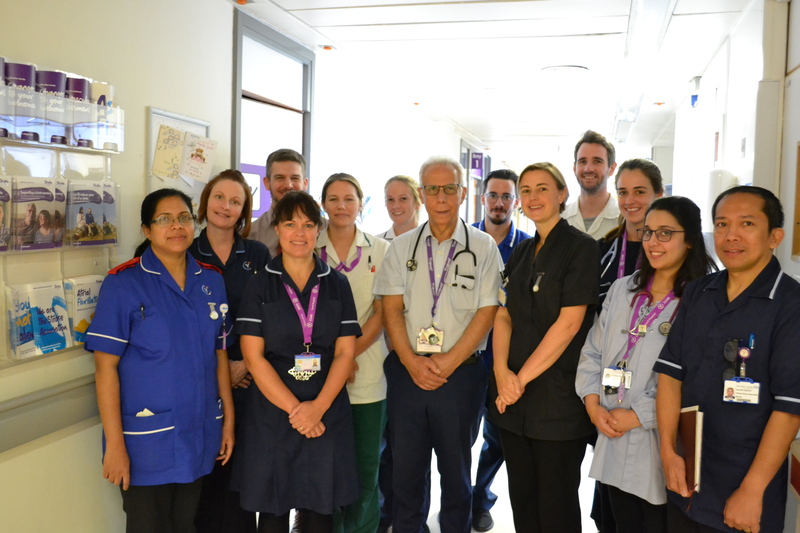 The Stroke team at Yeovil Hospital has become the only stroke service in the South West to be awarded an A rating from the Stroke Sentinel National Audit Programme (SSNAP). The programme looks at information from every patient admitted with a stroke in England and Wales and gives direct comparisons between organisations, regardless of size or location. Yeovil has always been recognised for providing a good stroke service, with the Clinical Lead Dr Khalid Rashed, Consultant in Stroke Services, being awarded an MBE last summer (2017). This A rating is further recognition of the work the team does, with only 25 per cent of stroke services in England and Wales receiving the top score in the same period (April-June 2018). The rating results have just been released (Nov 2018) and they are based on looking at a stroke patient’s full journey into and through the hospital as well as the support they receive once they have returned home. The provision of these services involve many different teams and provide an excellent example of how the different departments work together, both inside the hospital and outside the organisation, to ensure the patient remains at the heart of all that we do. Consultant Nurse for Stroke Caroline Smith has worked at Yeovil Hospital for 14 years and is extremely proud of the team’s achievement and what it means for our patients. Caroline said: “This rating is recognition at a national level that staff in all departments across the hospital are going the extra mile for each individual patient.